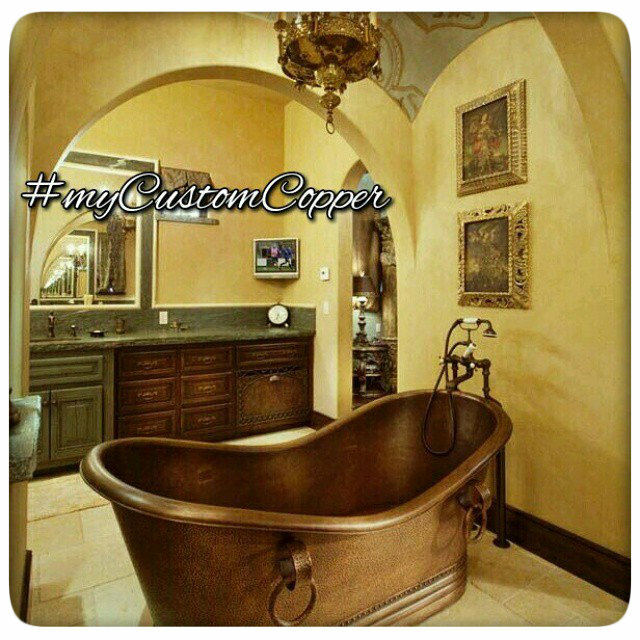 Copper tubs are the latest trend in bathroom remodeling. Buy it as free standing or drop-in in multitude of shapes, styles and colors. 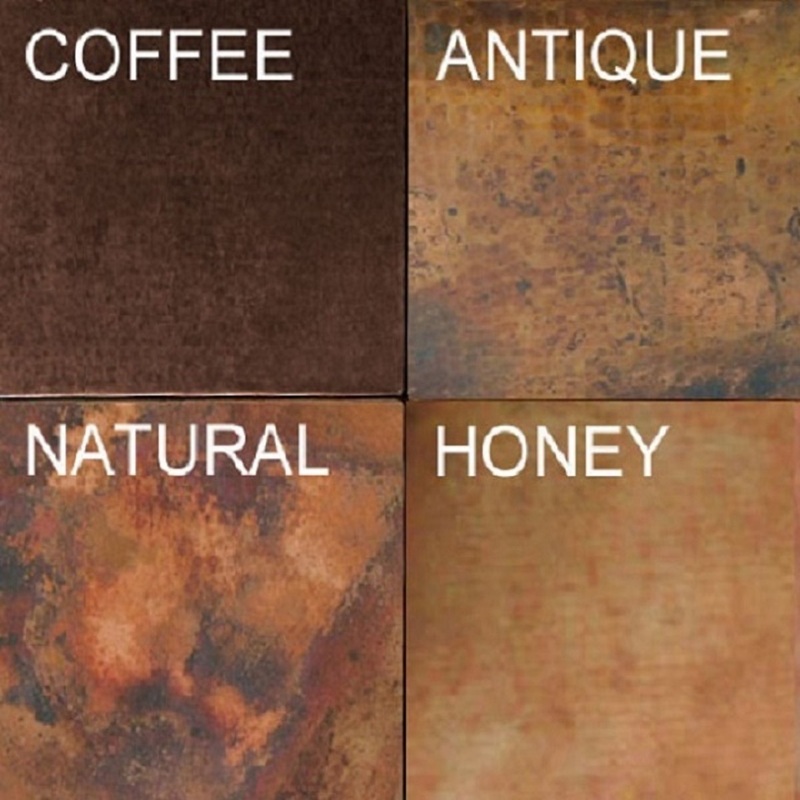 Select its finishing in the product options that corresponds best with your bath decor and personal taste. 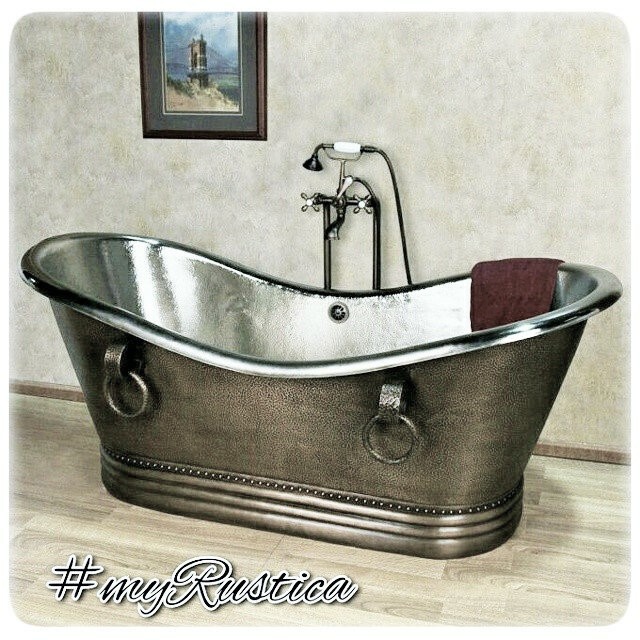 Shop Rustica House wide selection of freestanding and clawfoot models in all standard sizes. Any copper tub model can be equipped with an over flow system. This plumbing fixture makes sure you don't accidentally flood the bathroom. In case water reaches certain level, it takes is back to the drain below the tub. 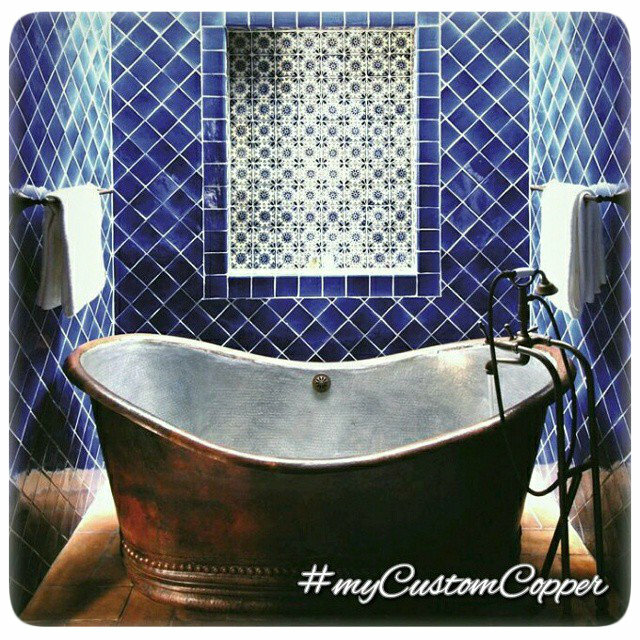 This built-in hardware is made of hammered copper finished with the same type of patina as the rest of the bathtub. As adding value alternative, the buyer can choose our bathroom accessories nickel-platted or hand polished. 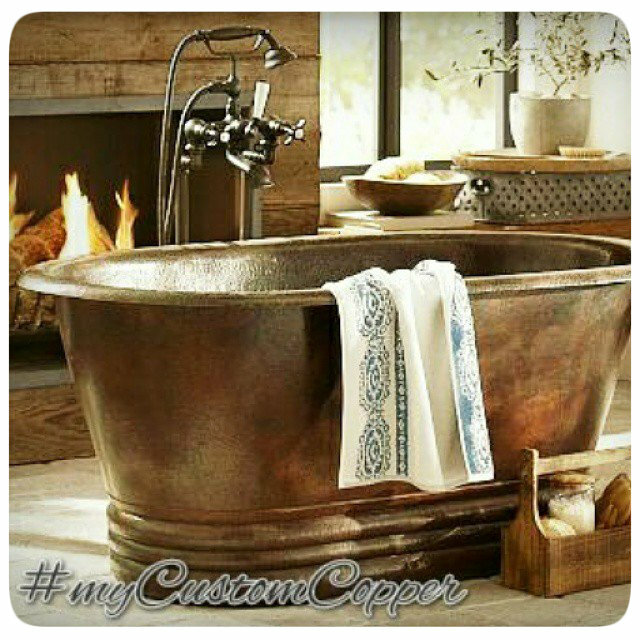 See each copper tub detail page for more instructions about how to buy the copper tub with other finishes.